Ellery Adams is the USA Today and New York Times bestselling author of thirty-five mystery novels and hopes to continue writing as long as she can. Ellery’s popular series include the Secret, Book, and Scone Society mysteries and the Book Retreat Mysteries. She has written six different mystery series to date. Ellery’s love of mysteries has been a lifelong affair, and cozy mysteries hold a special place in her heart. Small villages, hot cups of tea, fresh-baked scones, a cat curled by a fire, fast friendships, a hint of romance, a smart, gutsy sleuth, and a murder or two. What’s not to love? The puzzle, the pursuit, the balancing of the scales—what a delightful respite from the realities of our hectic world. Cozies are often dismissed as being light and fluffy reads. Ellery doesn’t believe this is the case. The cozy mystery, like any story, is far more than a colorful cover or witty title. It is the tale of an average person making a difference in their world, and of a group of people coming together in the name of justice and the common good. A well-written cozy will always find readers. If you want to follow in the footsteps of the Agatha Christie, then pick up your pen and write your story. Most of all, enjoy your experience as a writer and as an attendee at Killer Nashville. Funds will be awarded to authors who demonstrate need in an essay format. The money will be used to pay for attendance to the conference, breakout sessions, a critique, and lodging on a case-needed basis. Kris E. Calvin is an economist trained in forensic psychology and has been honored by the California Assembly and Governor’s office for her efforts regarding child advocacy. 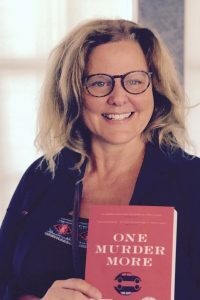 Her thriller One Murder More was awarded the 2016 Killer Nashville Silver Falchion Award for Best First Novel, Best Political Thriller, and Best Female PI/Sleuth. Kris loves discovering new authors and hopes that the Kris E. Calvin Scholarship will help her do just that. 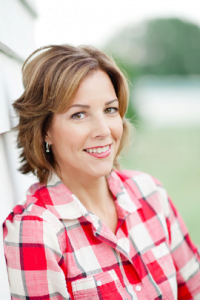 A long-time supporter of Killer Nashville, Kris has seen the difference that Killer Nashville has made in the lives and careers of past attendees; so beginning in 2017, Kris generously offered to fund an account annually to cover the tuition of a talented, unpublished, fiction or nonfiction author who may not have the funds to purchase the Killer Nashville full four-day registration, but otherwise has the funds to make it to the conference. She is also funding a professional critique to help growing authors polish their works to their best advantage. Kris’s goal is that this writer will experience what she has felt at Killer Nashville: the support and encouragement of the Killer Nashville family while gaining solid, real-life knowledge from internationally-bestselling, working, professional writers, publishers, editors, agents, publicists, and entertainment attorneys. Before Lisa Jackson became an internationally known bestselling author, she was a single mom struggling to put food on the table. She hoped against hope that someone would pay for her stories and that day came. Lisa is now the No. 1 New York Times bestselling author of more than 85 novels, including “Close to Home”, “Never Die Alone”, and “After She’s Gone”. She is also the co-author of the “Colony” series with her sister Nancy Bush. There are over 20 million copies of Lisa’s books in print in 20 languages. Lisa has been a big supporter of Killer Nashville, and she was one of the Guests of Honor at the 2014 conference. Now, Lisa wants to give back, and has donated money to start a Killer Nashville Scholarship Fund. Her hope is to help someone struggling financially, who wants to attend the Killer Nashville International Writers’ Conference. Jimmy Loftin’s family members have been writers their entire lives. Jimmy’s Uncle Bryan Robinson, a long-time supporter of Killer Nashville, is author of 35 nonfiction books and several mystery/thriller novels, including the award-winning, Limestone Gumption: A Brad Pope and Sisterfriends Mystery. 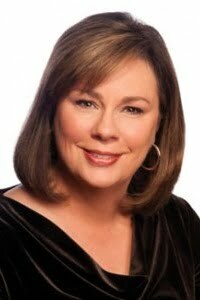 Jimmy’s mother, Glenda Robinson is a retired award-winning newspaper journalist. Tragedy struck the family when Jimmy was murdered in the prime of his youth, a victim of domestic violence. It was only natural that his family of writers wanted a memorial befitting Jimmy so his memory lives on. The Jimmy Loftin Memorial Scholarship is the result of that wish. Jimmy’s parents, James and Glenda Loftin, his brothers, Scott and Blake Loftin, and their Uncle Bryan Robinson wish to assist writers struggling financially, who want to attend the Killer Nashville Writers’ Conference–one of the best author-supportive conferences in the world. 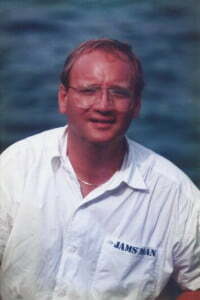 Jimmy Loftin was kind-hearted, considerate, and generous. He brought out the best in everyone around him. Even as a child, he was sensitive to special needs children his age, and he befriended and protected them. Whip-smart with a wicked sense of humor, Jimmy was recognized and rewarded for his creative and money-saving ideas in the workplace. In memory of Jimmy’s loving generosity, the Jimmy Loftin Scholarship funds will be awarded to authors who demonstrate need in an essay format. The money will be used to pay for attendance to the conference, breakout sessions, a critique, and lodging on a case-needed basis. – Write an essay that illustrates your financial need and why you want to attend the Killer Nashville International Writers’ Conference. – Entries should be about 500 words long, double-spaced, and in 12-point Times New Roman or Courier with at least 1-inch margins. – In the top left margin of your essay, in single-spaced format, include your name, mailing address, email, and phone number(s) where you can be reached by the Killer Nashville Scholarship Committee. – Attach entries to the form below. – The deadline is July 15, 2019.